Gigi Pip Hat: There are only a couple of things I can’t resist when it comes to buying things for myself, and a beautiful hat is one of them. I think every woman should have a great hat (or a few) in her style arsenal — they instantly make you look put together, even when underneath it is all dirty hair and no makeup. What mom doesn’t need that kind of help? Jewelry from Made By Mary: Aside from my wedding ring, the only jewelry I wear everyday is from Made By Mary. The Zola necklace with my wedding date, the Everly bar necklace with my boys’ names — beautiful pieces, personalized and meaningful, close to my heart. My boys play with them, chew on them, and someday they’ll remind me of these days with babies. I imagine having older boys and wearing the same necklaces and remembering how Charlie would spell and read the names and Calvin would name the shapes and Quincy would tug on them when he nursed. Momma-themed tees: I love a good tee and I love that good tee even more when it has a funny or meaningful message. The Mutha Hustler tee from Darling Clementine Shop (designed by Jean and June) describes my life most days, as it does most moms of small children. Plus, it’s funny 🙂 And I love the Mama is Home tee from Mamacase Prints. Because it also describes my life most days. They are both soft and comfy with a flattering fit (aka not too snug) and they are like the two sides of the motherhood coin. A Robe from Doie Lounge: Sometimes something as simple as a beautiful robe can make you feel beautiful too. The buttery soft robes from Doie Lounge are my favorite and if I ever need a pick-me-up I take a hot shower and then put on my pretty robe. While every momma deserves one, this isn’t your ‘mother’s robe’ — these come in lovely colors, are made of the softest fabrics, and are truly a treat to wear. Custom Ceramic Silhouette from Paloma’s Nest: My ceramic silhouettes of my children (well, of Charlie and Calvin — I still need one of Quincy) are some of my most prized possessions. They are why we have a ‘no throwing balls in the living room’ rule. The detail in each one, from Charlie’s long neck and full lips to Calvin’s hair swirl when he was a baby, truly captures my boys to a tee. They make for such a special and meaningful gift. 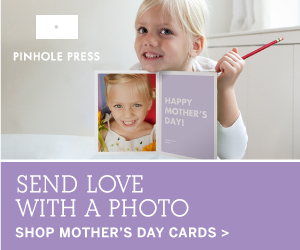 Custom Photo Album from Shortcake: Photo albums are always a no-brainer hit when it comes to mom gifting. Moms can’t resist photos of their kids, no matter how big or small. Most moms I know (myself included) always intend to print more photos and display more photos, but never seem to get around to it. What I love most about the photo albums from Shortcake are that they are custom albums that basically make themselves. Meaning you don’t have to. Because we just don’t have the time, am I right? Shortcake accesses your photos through social media, complies them into an album (think baby book or family yearbook), and sends them to you. I have two and they are really beautifully made. Wildbird Sling: If the mama in your life has a baby or toddler, or really loves baby wearing, then chances are she has lusted after a Wildbird sling. From the gorgeous palette of colors to the stunning textiles and fabrics, each sling is a beautiful on its own. But getting to wear your little one in it — nursing them, rocking them to sleep, keeping them close — makes it pure magic. I have an addiction to these beauties as well. Essential Oil Subscription Box from Simply Earth: Whether the mama in your life loves essential oils already or is still waiting to be introduced, a subscription box from Simply Earth is a great gift idea. Each month their box has a different theme — my April box was about keeping a natural home — complete with a DIY, instructions, recipe cards, and all of the oils and materials necessary. I am a big fan of Simply Earth, because not only are their oils 100% pure, but they are also very affordable. Plus they donate 13% of proceeds to fight human trafficking. Pamper the mom in your life with essential oils and I bet she’ll pamper you back. 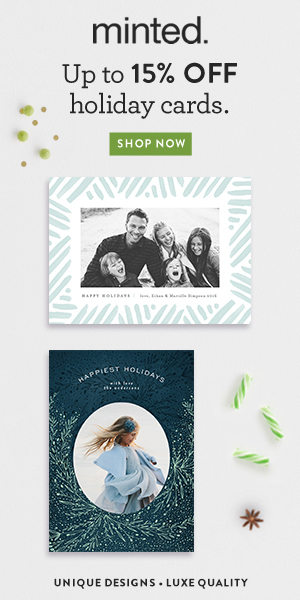 Crossover Slides from Sseko Designs: Is it wrong to put a gift idea in this guide that I’m strongly hinting for myself? Asking for a friend… But really, ever since my friend Karla posted about these slides they are all I can think about. I’m dying for the rose gold style — they are the perfect everyday sandal for summer (and in LA, that really means for most of the year!) The best part behind this brand is that each purchase helps send a young women in Uganda to college while also employing women in Uganda as well. I love brands that give back! The most delicious cookies EVER from Milk Jar Cookies: Treat the mom in your life to my absolutely favorite cookies of all time in the history of cookies. I’m really not even exaggerating — Milk Jar Cookies are so freaking good my description can’t do them justice. They are really big, but still soft. The chocolate chip (my personal favorite) has the perfect amount of chocolate chips. They have so many yummy flavors. And if you don’t have the good fortune (or bad fortune, depending on how you look at it) to be able to walk there like me, they ship! Plus, William Sonoma will soon be selling their recipes in bake-at-home cookie kits — that should tell you how delicious they are. And now for how to win: enter through the form below through 4/24/17. A randomly selected winner will be chosen and displayed below by 4/26/17. Due to shipping costs, winner must be located within the US. Good luck! UPDATE: THE GIVEAWAY IS CLOSED. Great giveaway! I’m entering for myself and I would also share with my sister. I’m a good mom because I’m good at listening to my daughter, taking her on adventures, and letting her be as creative as she wants (even if it means wearing 15 different articles of clothes out in public). My sister is a great mom because she is nonstop devoted to my nephew and always making sure he is active, staying healthy, and happy. These prizes are amazing. I would love to win. Would love to win for myself!! This soon to be mama of two under two could use some pampering!! 🙌🏼 this. How true is it that while we are constantly taking care of others it is hardest to take care of ourselves. Motherhood is amazing, exhausting, and so fulfilling. What I cool prize bundle…I could really use this for my second little bundle due this June! This giveaway is amazing. Entering for myself and another sweet lil mama I know (figured we could share the loot). Love this! For my sister and me 🙂 We both deserve it for giving all of ourselves all year round! Thank you! Entering for myself and hoping to treat my mother & mother in law to some of the prizes! I am entering for myself. Got baby number 2 arriving in June. I would happily take the Everly Bar necklace for myself because I have been holding my breath for one since I became a mama. I’d also take the cookies ❤ the rest would happily be delivered to 10 of my best girls. Mamas need pampering! My sister is such an amazing, beautiful mother. She is the most considerate person I know, and I love her the most! I would love to win this for my daughter-in-law she is amazing a deserves to be pampered they have two children of their own and foster 4. She is the most loving and caring person that would so love to get pampered. I am entering for myself. I am a mom of a wonderful 18 month old girl with another girl due in July! I am a stay at home who works hard to raise my kids to the best of my ability. Having struggled with post partum depression winning the treat yourself giveaway is a great opportunity to give myself some well needed and deserved self care. Im a new mommy and would be amazing to win this! I would love to share these goodies with my family. I am entering partially for myself (have a 10mo and 4yo) and partially to share with my bf and my sis-in-law who just had a baby. Like most mothers, I believe, I tend to sacrifice self-care for the care of my family. It can be difficult at times to find a balance between being joyfully selfless and understandably selfish. I am just now getting to a point where I feel comfortable balancing my needs with everyone else’s. This would be such a great boost in my start to self-care. Not much into instagram, but I am into this Giveaway! I thank you so very kindly for the opportunity!! My daughter just gave birth today 4/20/17 at 4:21 PM. Thank you so very kindly for the opportunity to win this awesome gift pack for her! Enjoy your weekend everyone!! Such a fantastic giveaway! Thank you! Just had my 2nd 2 weeks ago.. entering for myself! Most of these are already on my wish list 🤞🏼. I’m entering for myself. I just had our second daughter almost 2 months ago and I’ve been singling-momming it while my husband is out of state for work (for 5 weeks!). I need a little pampering! Thanks for a great giveaway! I’m entering for myself. We have three sweet girls four and under. Our oldest has discovered her attitude, our second is potty training and the baby is teething. 😬 I would love some things to promote self-care ( which I am terrible about!) right about now! I’m hoping to win for myself. I have a 13 month old baby boy and another boy on the way in July. After going to college and starting in my career field I got pregnant and thought being a stay at home mom was more important. As important and rewarding as being a mom is it’s tiring and sometimes and we forget about ourselves. I’m guilty of that especially since I also just became a single mom unexpectedly. I’d love to be able to pamper myself with these wonderful items. I’m entering to pamper myself and will consider sharing some goodies with mama friends. 😉 Thank you for this generous giveaway!! I would love to win! Expecting baby 2 in June. Would love to win all of these goodies!! I have two little ones (3 and 1), and hoping to get pregnant again soon!!! this would be for my daughter! Well deserved for sure! I am entering for myself and my 5 week old squish! I would love some pampering for me, and to wear my baby bird too! I am entering for Lori, a brand new first mom after wishing and hoping for years. I am entering for myself I have a son with a heart transplant, Celiacs disease and Diabetes type 1 since he was 20 months old. My daughter had Non Hodgkin’s Lymphoma at 7 years old so I always give to everyone else nice to get a surprise for me. My kids are amazing and I am so very blessed they are still with me today. Mothers day is so special to spend the day doing something special with them and to see their smiling faces. Never take life for granted tell those you love how special they are everyday. As a stay at home mom of 2yr and 4.5yr old, I could definitely use a little pampering. Yes please!!! I’d love a wildbird sling. My best friend! Her little girl is, wise beyond her age! I have a 12 month old grand daughter and just learned my daughter in law may be expecting again. I’m entering for my friend who’s expecting her second child – and first daughter – in September. She could use a little pampering! This is the holy grail of Treat Yo’ Self! So excited to enter this giveaway of amazing goodies to bond with my sweet son— what a wonderful celebration of Motherhood! I’m entering for myself and my fiancé. I’m entering for myself which frankly makes me feel kind of guilty, but why do us moms always feel so undeserving! I’m 40 weeks pregnant, due any moment and I would love to win. I’m just finishing up my first year of grad school and finally going to have a summer off to enjoy my new baby and spend time with my family. I am a new mom of a three month old who is my world! I would love to win and be pampered! I am entering this for my daughter. She is going to be a first time Mom in May. I think she will be a great Mother. Thanks! I’m entering for my sis-in-laws! They are both inspirations to me & I look up to them for how to be a great mom someday!! Oops! I definitely didn’t comment correctly. But to answer why I’d love to win, we are expecting our second little girl and would never be able to afford all these goodies for pampering. Plus I’ve never won anything, so this would just be the best thing ever! What an amazing giveaway! I have a mama tribe that is all expecting this summer so I would definitely share the love! I need some pampering for myself but my niece had a new son a month ago. I’m entering for my daughter-in-law Jodi – she is an amazing wife and mom, who spends lots of times researching products so my son and grandson can have the best life possible! (Also, just a heads up – some of the entries for the Instagram follows appear to automatically have you follow – the entry just gets checked, but you never actually go to the instagram account yourself. I went to Instagram in another tab, and looked at those accounts, and they didn’t show me as following, so I did it manually…..I just don’t want anyone to get disqualified if there really is a glitch somewhere……) Thanks for the chance to win such an incredible giveaway! My little sister will be a mom in October and she already is such a great example to me of how to be a great mom and human. She is kind and generous and compassionate and hilarious. She will be great when her little one comes and I can’t wait to be an aunt and for my son to have a cousin. I am a mama who is in school full-time and chasing after a toddler and expecting my second lo any day now. I try my best at motherhood and am working on finding the balance between work and home; it’s not easy. I would be so honored if I won any of these amazing prizes! I’m 32 weeks pregnant with baby #4! Entering for myself and will share a couple goodies with my prego friend and prego cousin! I would love to win this for my best friend. She is the best mother and goes above and beyond for her children. She spends all of her time with them, nurturing them and getting to know them as individuals. I’m entering for this amazing giveaway- we are currently in process of adopting our second child, and we don’t have much in the way of infant items. So that wrap would be amazing! Great prizes for one lucky Mama! Love this list! Thanks for the chance to win all these lovely things! Oh my goodness, so many lovely things that I haven’t tried and would love to… Thank you for the giveaway! What a great guide!! I’m new to this mommy thing and love these ideas. Now how do I leave this browser open for my husband to see?? Such great prizes! I would definitely give my mom a bunch of these. Thanks for the chance! Entering for me! Such great shops that are so giving!!! Entering for myself. Every mom needs some self care!! I just had my second daughter and I would feel so grateful to win all these amazing things. My husband is a full time student to become an Optometrist and I’ve been basically a single parent. It’s been so hard raising two by myself and I would love to be pampered….or get more sleep 😉 both would be amazing! I’m entering for a friend. She really deserves this. I am entering for myself AND my friend who just had a baby. awesome giveaway! can’t wait! first baby due in July! Awesome giveaway for a mommy! I have a 2 year old little boy and a six week old baby girl! I am entering for my daughter- in-law, Ally.. She just had our first grandchild, Aubree. My daughter-in-law, Ally is a good Christian mom. She is wonderful with my granddaughter and the Lord has blessed us. We are so thankful. She is also a awesome wife to my son as well. She is just great. I’m entering for myself, my mother, and my step daughter! Such a sweet giveaway! Thank you! I love the robe and the portrait- and everything, really! I am entering for my sweet mother! She deserves every single item in this giveaway. She is selfless, always thinking of others before herself. She is loving, always nurturing and caring for the well being of others. She is FUN. You can always have a good time with my mom! I know she would be SO happy if she received all this wonderful stuff, and I hope I win so that I have pamper her. She deserves it. One of my best friends is currently expecting her first baby in September. I would love to win this for her! I have a scheduled c section on Thursday to deliver my third baby. I have tried unsuccessfully in the past for a VBAC which had been tough for me to come to terms with. I feel like this would help me to start healing and feel better about myself as a woman. I’m entering for my sister! I am entering to win for my mother and myself! I was a single mom with health problems for years and now married and have a teen and toddler and hoping for one more. Been thru a lot plus loss of my dad, brother, and friend recently. My mother is amazing and been thru so much in her life and I’m so proud of her and love her. This would be nice for us to win together. I am entering for my sisters, who are strong and smart, and who are passing those qualities down to their children. I am entering for myself… I’m pregnant with my third baby and I’d really love to become an expert baby-wearer this time around! It’s been a hard time lately (very sick family member) and winning a contest would be a breath of fresh air. Thanks for the chance! I love everything about this contest!! This would be so amazing! I am obsessed with all of it, but especially because of the wildbird!!!! And I need the hat to go with the wildbird (and hide the non washed hair, and no makeup look that you mentioned)! I’ve also really been wanting to try essential oils too. All of it. Just all of it! Ahh! 🙏🏼! Pregnant mama here! I love all the shops participating 🙂 let’s be honest when we have kids things fall by the wayside, especially ourselves! I have a two year old and am expecting baby #2 in about a month! Eeekk! Currently in the ” I’m so tired I am passing out everywhere & my toddler keeps trying to wake me up” 😂. Pregnancy is beautiful but hard work! Would love to be spoiled by this fun giveaway, Fingers crossed! Such a great giveaway! I could use some pampering. Fingers crossed. I am entering for my sister. She is a new, first time mom and she is a champ! If ever someone deserved a treat yourself day, it would be her. She is AMAZING!! Thanks so much for the chance! Im entering for myself! Im due with baby number 2 in a few weeks, and this would be great to win! I didn’t pamper myself at all with my first baby, so I plan to this time around! I think I’m a great mom because I love my child!